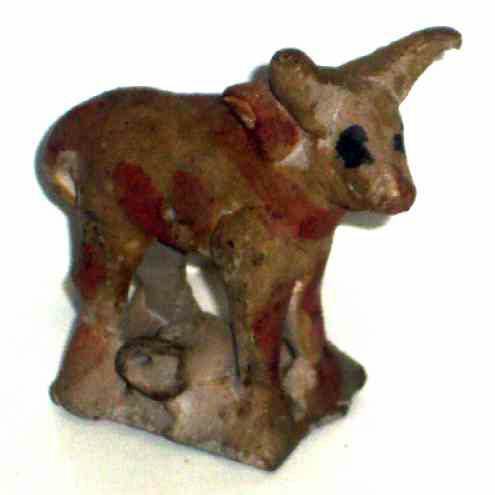 The local potter was often the source of children's toys in the 19th century when clay was magically turned into miniature animals and birds as well as miniature sets of dishes. This, a charming little toy whistle from Pennsylvania . . . a child's whimsical toy, is 3" high and 3" tall.